Double whammy or what! I was really happy to see Aveda launch this line, there are so many hair thinning solutions out there, but one associated with a prominent, successful and established brand is often not so easy to find. I randomly stumbled across Aveda Invati™ on a blog advert whilst website stalking. I am a strong believer in scalp care so this certainly got me ticking! Aveda Invati™ products are 97% natural and proved to improve hair loss by 33% in a 12 week clinical trial. It specifically targets hair loss, thinning, loss of volume, lack of density and a tight or dry scalp. 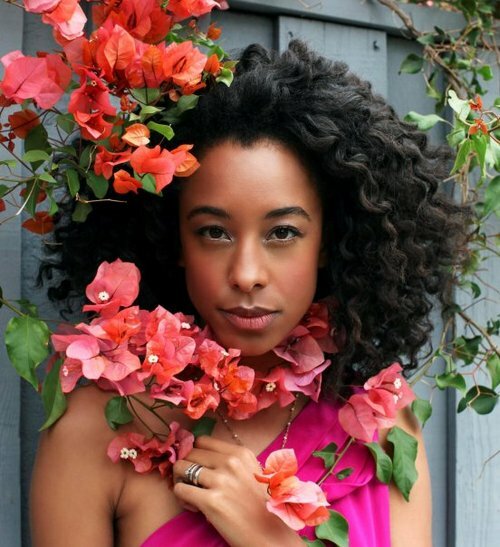 Browsing the blogs as I do, and I came across an interview on BET with Corinne Bailey Rae about how she maintains her beautiful head of hair. Now isn’t this something! This is absolutely phenomenal. I heart her hair! She’s even on BBC News! So… how to include Ayurveda into your regime? Well… for one Ayurvedic treatments can be approached from two different angles. They can be very simple or as complex as you can imagine. There are many ingredients that fall under the Ayurveda category so picking what to use is usually a challenge. There are a million and one growth aids promising to make your hair all great and thick but attached to may are big boy $$$ signs. Before even considering products you have to work first with your hair alone.